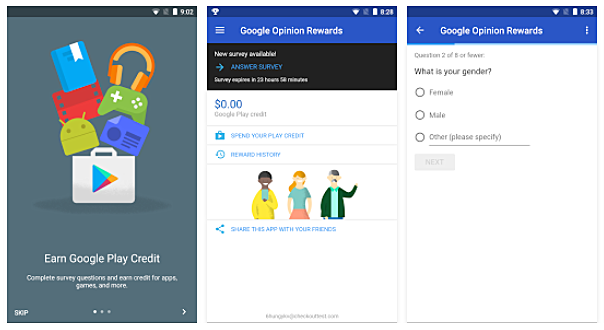 The Google Opinion Rewards app is now available in some more countries. A quick look at the app's Play Store listing reveals that it is now accessible to users in India, Singapore, and Turkey. For the uninitiated, the Opinion Rewards app is created by the search giant's Surveys team. It requires users to answer quick surveys, and in return, offers them Play Store credit.